I have been receiving a lot of calls lately from friends and clients about their financial situations. I realize that I really need to get this message out about planning not only for the expected, but also for the unexpected. What did Prince care about? What were the charities that he supported during his lifetime and would he have wanted to leave those charities money as part of his legacy? With the size of his estate, how could proper planning have changed his situation? Well for one thing, it would have been private. 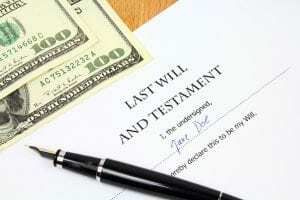 When you die without a will — you normally get the will the state has written for you. In Michigan, it’s called the Michigan Statutory Will. Also, your estate has to go through the probate courts, and everything gets opened up and becomes public record. How would you like this to happen to you? Prince seemed to be a very private person, and he would probably be horrified to see what is happening now. He supported many charities during his lifetime, and since he had no wife or children, he could have done some amazing charitable planning that could have provided for the causes that he loved, his community, and his family. The key here is to just do it and do it NOW … not some day. For the last 30 years, I have been helping people plan for both the expected and the unexpected. Investing a little time and money now can produce great results in so many areas of your life. I want to share a personal story about what happened with my parents and how simple planning can be so rewarding for everyone. My mother married my stepfather when she was 58 and he was 74. His children were almost my mother’s age, and he was just going to put everything in joint ownership, which meant that my brothers and I could have inherited his estate after my mother died. I explained to him that there was a better way. He could set up a trust and leave my mother income, and at her death, his money would go to his children through his trust. In addition, we could even distribute funds to his children during my mother’s life time … which we did. He had no idea about this option and was thrilled with the prospect. Fast forward twelve years. My stepfather was diagnosed with lung cancer, and because we had set up a trust for him with his son and me as the successor trustees, plus a durable power of attorney for health and financial, we were able to spend that next year focused on him. In other words, were weren’t running around stressed-out trying to find his stuff and to get some sort of planning in place. First of all, everything was kept private — there was virtually no probate because everything had been transferred to his trust, and when he got sick, we were able to sign paperwork to make his son and me the trustees of his trust. We were able to sell his house and move him and my mother into a retirement community where there was assistance … and we did this while he was in the hospital and rehab. His financial Power of Attorney allowed us to take care of his real estate and tax return. I was his healthcare Power of Attorney, so I was able to access his medical records and talk to the doctors, hospitals, and insurance companies on his behalf. He had purchased long-term care Insurance, so after he passed away, and my mother was diagnosed with dementia, her survivor pension and long-term care benefits paid for 100% of her care at a very nice facility — about $72,000 per year. This protected his estate for his children. And at my mother’s death, his children were shocked to see that everything was passed to them. Probate was a nonevent because there was nothing to probate. Best of all, during that last year of his life, we were truly able to enjoy him and focus on his quality of life and quality of care. I hope this story inspires you to make a date to do your financial and estate planning now. Please don’t wait till “someday.” Smart Women plan for the expected as well as the unexpected. If you want to talk about your own situation, please feel free to contact me at www.talkwithkatana.com. All financial planning, investment management, and retirement planning services provided by Katana Abbott is performed through MKD Wealth Coaches, a Registered Investment Advisor located in Auburn Hill, MI. Visit www.mkdwealthcoach.com for more information.